The recent Bagdad nite market in White River saw locals and visitors flock to enjoy a night of fun and festivity. Guests were spoilt for choice with unique alcohol concoctions, foodies were in for a treat and the entertainment arranged for the younger set, saw mom and dad with some time on their hands to enjoy the music and ambience for which Lowvelders are known for. 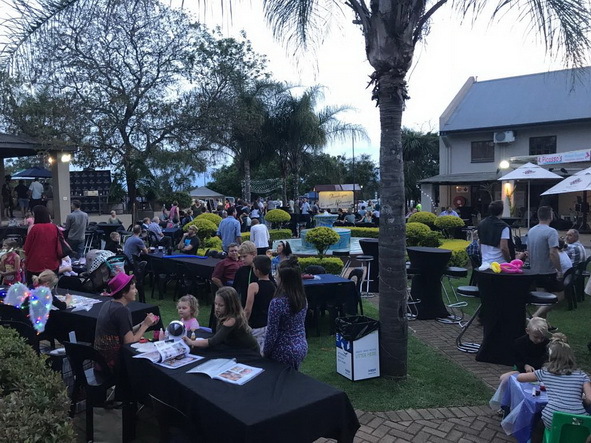 This event was a definite highlight on the Mbombela calender and with its unique peoples bringing their talents to the evening, it is hoped that this nite market will not just be once a year but a more regular event.